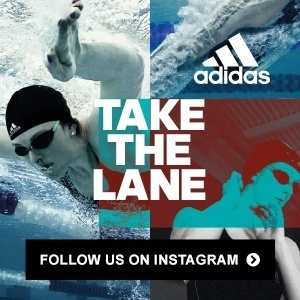 2:07.69 200 breast? 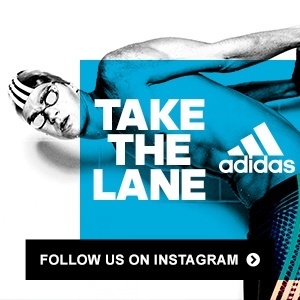 Watch German swimmer Marco Koch make it look easy. Katinka Hosszu swam every event this morning and took down two of her own meet records in the process. Spain’s Mireia Belmonte negative split her way to a new Euro Meet Record in the women’s 800m freestyle tonight in Luxembourg. The women’s 400 free started off as a race between the greatest Spanish swimmer of all time Mireira Belmonte and the Hungarian Iron Lady Katinka Hosszu. The duo touched within a couple tenths of each other at the first 100; Belmonte had the slight lead at 59.87. Soon, Great Britain’s Sarah Koehler moved forward to join the fight between the two. By the 300, Belmonte had begun to kick it in and pull ahead of the other two, while Hosszu and Koehler battled for second. The final 100 for Belmonte was her second-fastest of the race, a 1:01.76 that rocketed her even farther ahead of the competition. Belmonte finished first in a meet record 4:07.94, taking down Hosszu’s 2014 mark of 4:08.61 by well over half a second. Hosszu finished second in 4:10.45, while Koehler grabbed third with 4:10.56. This was Belmonte’s second meet record of the meet after her big win in the 800 earlier this weekend. Her time from today ranks 17th-fastest in the world this year. Velimir Stjepanovic of Serbia went out fast in the 400 free, hitting the wall at the 100 in 53.05, over five meters and three seconds ahead of the competition. He held his huge lead through the 200 and the 300, when Mykhailo Romanchuk of Ukraine began to catch up. Romanchuk edged up on him, but it wasn’t quite enough. Stjepanovic finished in the 30th meet record of the weekend, a 3:48.70. Romanchuk finished second in 3:52.43, and his teammate Sergii Frolov finished third with 3:52.43. This morning, both Hosszu and Mercedes Peris of Spain went under the meet record, a 29.05 set by Hosszu in 2014, but Hosszu took the top slot with 28.80. Tonight, Peris came back to absolutely destroy Hosszu’s mark from this morning, going 28.12 for the new meet record. Hosszu finished second in 28.34, followed by Ukrainian swimmer Daryna Zevina in 28.95. Peris’s time ties for seventh in the world rankings in this non-Olympic event. Shane Ryan of Penn State and Ireland took the 50 backstroke in a no-contest swim of 25.59. Russia’s Kliment Kolesnikov finished second with 25.75, followed by Holland’s Magnus Jakupsson in 25.93. Ryan’s time just cracks this season’s world rankings with a tie for 24th. Jan-Francois Schneiders set a new Luxembourgish record in front of a roaring home audience to win the B final in the last race of his career. This morning, Ilaria Bianchi was the only swimmer to come in under a minute, finishing well ahead of the competition with a meet record 59.27. Tonight, she took the record down even further, posting 58.59. Finland’s Emilia Pikkarainen held second place through the entire race, finishing with the silver in 59.09. Judith Ignacio grabbed third place out of lane 0 with 59.31. All three swimmers came in under Hosszu’s previous 2014 meet record 59.41. Bianchi’s swim ranks 22nd in the world rankings this season. 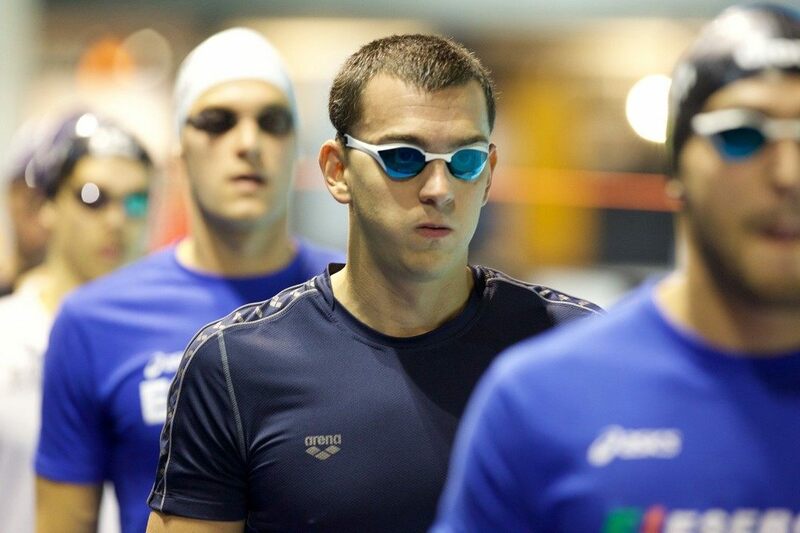 Lazslo Cseh of Hungary clocked the third-fastest time in the world this year with 51.40 in the 100 fly. The swim was a new meet record, beating out his 52.57 from last year’s meet. Cseh cracked the world rankings in his signature event for the first time this season last weekend, swimming a 52.55 at the Geneva International Challenge, but this swim goes to show that Cseh is as relevant as ever going into Rio. The only swimmers who have gone faster than him this year have been Chad le Clos at the FINA World Cup in Dubai (51.09) and Michael Phelps at AT&T Nationals in 51.38. 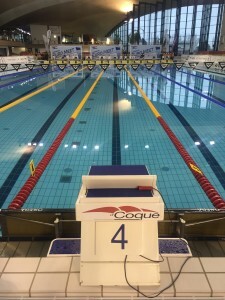 “This is a good beginning of the season, and I look forward to swimming a little bit faster,” he told the FLNS Luxembourg interviewer right after his race. Serbia’s Ivan Lendjer hit second in 52.64, and Germany’s Philip Heintz took third in 53.04. The women’s 100 breast was a battle between this weekend’s 50 champion Martina Carraro of Italy and Spain’s Jessica Vall. The duo swam a nearly-synchronized race, especially in the last few strokes, where each breath, kick, and stroke came at exactly the same time. Carraro grabbed the victory at the finish, clocking 1:08.11 to outswim Vall by just five one-hundredths. Vall finished in 1:08.16, followed by Jessica Steiger of Germany (1:09.64). Marco Koch of Germany went out fast in his 100 breast, clocking 28.38 at the 50, well ahead of the competition and a second ahead of meet record pace. He held his lead throughout, finishing in 1:00.45, taking down his own meet record from 2014, a 1:00.64. Koch’s swim, though he was previously unranked, brings him into the world rankings, tying with Japan’s Kazuki Kohinata for fourteenth. Second went to Lithuania’s Giedrius Titenis in 1:01.11, and Germany’s Christian vom Lehn took the third slot in 1:01.29. There is really just no stopping Katinka Hosszu. Nearing the end of her marathon weekend, where she swam every single event in prelims and finals and made every single A final and took down meet records like it was her job, Hosszu grabbed another win and meet record in the 100 free. 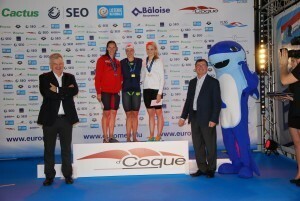 She led throughout, with a tenth of a second ahead of Luxembourg’s Julie Meynen at the 50, splitting 26.44. Then, she came back in 28.14 for a 54.58. The swim took down Amy Smith’s meet record from 2012, a 54.78. 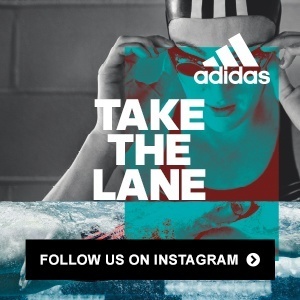 Hosszu’s swim would edge her into the world rankings, if her best time this season didn’t already rank her seventh. 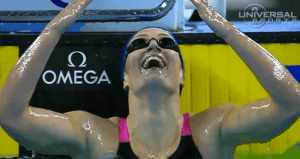 At the FINA World Cup in Dubai, she swam her season-best 53.81. She’s obviously swimming all of the events this weekend as a challenge in her training, but it’s now clear that the Iron Lady just doesn’t get tired. It’s easy to get chills just thinking about what she will be able to accomplish this summer. Meynen clocked 55.36 in front of her home crowd for second, and Great Britain’s Jessica Jackson finished third with 55.69. Serbia’s Stjepanovic took his second win and meet record of the night in the 100 free with 48.50. 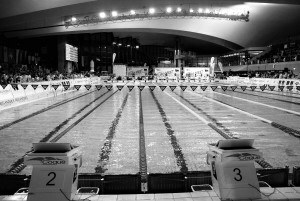 That swim takes down Alain Bernard’s 2011 meet record of 49.20 by .7 seconds and moves Stejepanovic up seven slots in the world rankings to ninth. He now sits among world champion talent, ahead of Vladimir Morozov and behind Nathan Adrian. Second went to Great Britain’s Ben Proud in 49.15, followed by Egypt’s Mohamed El Sayed. The women’s 200 back was a battle between Hosszu and this morning’s top qualifier and meet record setter Zevina of Urkaine. The duo hit the first 50 wall dead-even, Hosszu taking the slight edge with 30.66. Going into the 100, Hosszu held her lead, but she was throwing a fast stroke rate, where Zevina appeared much more relaxed. On the third 50, Zevina kicked it in, gaining a lead on Hosszu for the first time in the race. On the final breakout, Zevina stayed underwater much longer than Hosszu, coming up nearly a bodylength ahead. She descended the final 50, and her lead increased to nearly three seconds. Zevina ended up finishing first in a meet record 2:09.95, beating out her 2:10.17 mark from this morning. Hosszu took the second slot with 2:12.80, and Germany’s Doerte Baumert finished third in 2:14.69. Zevina’s season-best swim moves her from 22nd to 11th in the world rankings, while Hosszu sits second with her Dubai swim of 2:07.13. At the 100 Hungary’s Gabor Balog had a narrow lead over Ireland junior swimmer Conor Ferguson, and his lead only increased from there. Balog came in first in the end with a bodylength lead over Ferguson, finishing in 2:01.81. Ferguson’s second-place finish came in 2:03.18, while third went to Tomas Ludvik of the Czech Republic in 2:04.74.
nice swim for cseh. 51,4 in 100 fly is very promising, maybe he can go 50 low as well in rio. Lazslo Cseh has a very interesting stroke, as well as quite good DPS (distance per stroke). It was great to watch it live through the very excellent streaming from Luxembourg the last few days. He is getting even faster in his “ripe” old age (for a swimmer that is). Yes, Cseh swims fly with almost no second kick. It’s amazing that he’s able to sprint so fast. Both Romanchuk and Frolov are from Ukraine. He and shields will probably battle for the bronze.